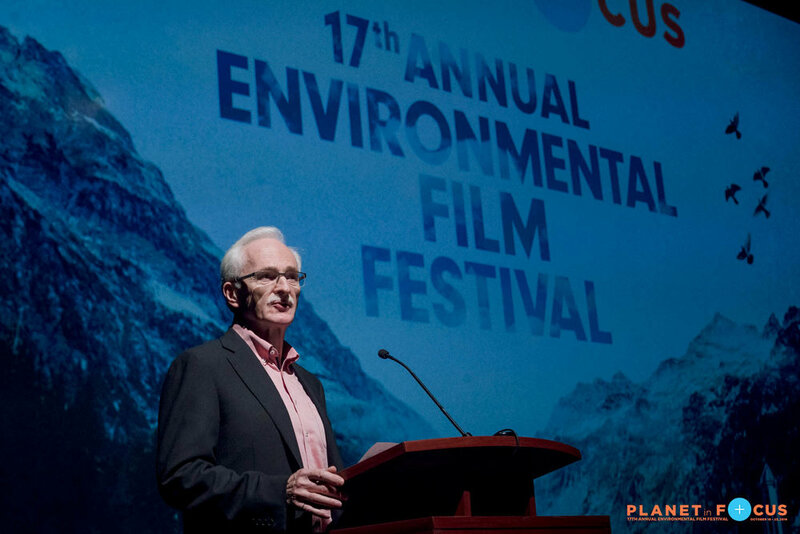 At the launch of the 17th Annual Planet in Focus Film Festival, David Suzuki joined us for the evening to accept his 2016 Planet in Focus Canadian Eco-Hero Award. Dr. Suzuki introduced a film about the David Suzuki Foundation's Blue Dot Movement and spoke to the audience on a range of important Environmental issues - from the re-energizing effects of spending time in nature, to the importance of leaving a better Earth for our grandchildren, to the right we all have to clean air, drinking water and food. Many of the issues Dr. Suzuki touched on last night are featured in a number of the fabulous documentary films that are screening from October 20th-23rd at the Planet in Focus Environmental Film Festival.